Summary: In 2009, there were 2,733 corporate foundations with assets of more than $10 billion and an annual donation of $2.5 billion. In that year foundations made grants of more than $38 billion of which $15.41 billion was from family foundations. 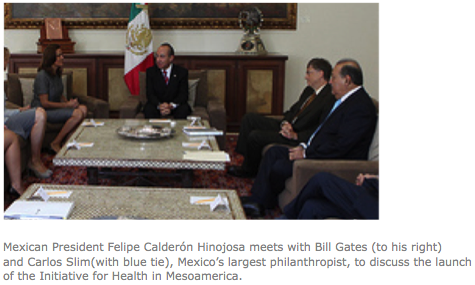 In 2009, the 50 largest contributors to health donated more than $3 billion through almost 5,000 grants. The extent of corporate-based foundation funding in public health raises two critical questions for public health policy, research, and programming. 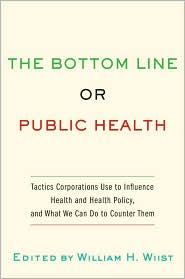 First, should corporate-based foundations be setting the public health research and program agenda? Second, is the corporate business model appropriate for guiding foundation public health grants and programs? In this commentary, I seek to answer these questions to focus our attention on fundamental philosophical and ethical issues about the causes of disease and injury and the approaches we take to addressing the root, social determinants of health. In 2009, there were 2,733 corporate foundations with assets of over $10 billion and an annual donation of $2.5 billion. Foundations contribute substantial amounts of grant funding for a variety of purposes. In 2009 foundations made grants of over $38 billion of which $15.41 billion was from family foundations. In 2009 the top 50 largest contributors to health donated more than $3 billion through almost 5,000 grants. The modus operandi of foundations has become that of applying a corporate, business model  to their efforts to try to solve public health problems (see table below). The business model typically emphasizes technological solutions to achieve quantifiable, quick, short-term “results” and “outcomes.” The basic business model approach to problems is that technology plus science plus the market brings results. This model appears to dominate much of the foundation philanthropy, particularly among the so-called “philanthrocapitalists” the corporate officers and financiers who made much their fortunes during the period of extreme capitalism of the 1980s and 1990s. Many of those individuals are now setting up foundations to distribute their wealth, some taking a venture capitalist, social investment approach. [10,11] These individuals typically retain funding decisions for themselves. They personally choose which public health issues will have highest priority, which areas of research to support and which programs will receive funds, including setting up entirely new programs under their direction. Similar to the corporate management from which they came, corporate-based philanthrocapitalist foundations are not democratically managed institutions. The philanthrocapitalist decision-making process suggests a belief that they are better qualified than public health professionals, professional associations, national governments, or community organizations to determine the public health agenda. They may form partnerships with other foundations, or corporations, or multi-lateral or national organizations but the funding and agenda are generally distanced from the level of local citizens of the community. And the size of the foundation funding gives disproportionate weight to the foundation’s influence, that is, the wealthy individual whose foundation it is. The philanthrocapitalists’ application of the corporate model is understandable considering that many philanthropists, and the foundation boards and officers have backgrounds in the business world rather than public health or community organizations. Their associates in their education, business and social affairs are often like-minded individuals with a similar socioeconomic status who share belief in the primacy of the market and the for-profit corporate business model. They hold the belief in common that the for-profit business model is the best way to meet societal goals. Basic to a critique of contemporary philanthrocapitalism is the question of why should we hold up the business model as the standard to emulate in operating foundations and as the guide for the programs and research they fund? Critics note that most businesses are mediocre, and many fail so why should the mediocrity of the business sector model be applied to the social sector? The world is in greater need of more civil society influence than more business influence. Also, inherent in corporate legal purpose is maximization of profit, including by avoiding taxation and minimizing regulation, which often results in externalizing costs onto society through a variety of mechanisms. Approaching global health problems from the perspective of the corporate business model may lead philanthrocapitalist foundations to similarly ignore or to denigrate social and environmental factors as irrelevant to the foundation’s business-analogous, results orientation. Doing so may be a thoughtless imposition of the business model rather than a conscious awareness of other approaches and the model’s effects. A fundamental critique is that “marketized philanthropy” simply places a screen between global capitalism and its effects. By fostering the global market system Philanthropcapitalists’ foundation agenda and activities may be similar to earlier foundations whose goals and programs supported the U.S. foreign policy agenda. They may, without conscious intention, cause adverse effects on societies and the natural environment. Some defenders of philanthrocapitalism argue that the philanthrocapitalist earned his or her wealth and is therefore entitled to spend it in whatever manner they choose. That argument assumes that the individual accumulated wealth on his or her own rather than acknowledging that wealth arises from a “community.” Most business success draws upon the knowledge and technology developed earlier by others and is built upon the hard work of corporate employees who have not shared equitably in corporate profits. The argument also fails to consider that many corporate products, services or technology are based on government-sponsored basic or applied research funded with tax-payer dollars, discoveries which the corporation did not purchase nor repay the government for. The corporation from which the philanthrocapitalist’s foundation wealth was derived may not have paid the federal statutory income tax rate, [29,30] or state taxes, [31,32] and the tax rate paid may have included deductions for expenses related to morally or legally questionable management practices. In addition, the philanthropocapitalist’s foundation may have set up her or his compensation in ways that avoid or minimize personal income tax, even if benefits are small. Thus they accumulate wealth to fund a foundation whereby they control distribution of that wealth through the foundation. The foundation also receives tax benefits on investment returns and grants. Some foundations’ earnings are from investments in the stock of corporations whose operations, products or services are contrary to the programs and priorities that the foundation funds, or to public health in general. [34,35,36,37] However, while some foundations screen investments for social responsibility and others retain a separation between investments and programs, some philanthrocapitalists take the position that one stockholder cannot change corporate practices  or they are unwilling to try to do so. There also may be potential conflict of interests through interlocking foundation board membership with boards of corporations related to foundation programs and/or whose products or practices could be adverse to health. Historically, critics of early foundations (e.g., Carnegie, Rockfeller) raised questions about the corporate source of the philanthropist’s funds (e.g., monopoly, workplace conditions, political corruption), inequitable sharing of corporate earnings with workers, and the undemocratic manner in which decisions were made about how foundation funds were distributed. [41,33] A common argument about earlier foundations was that a society would have been better served if corporate profits would have been shared rather than accumulated in a foundation to be distributed solely at the discretion of the corporation’s owner (foundation director). 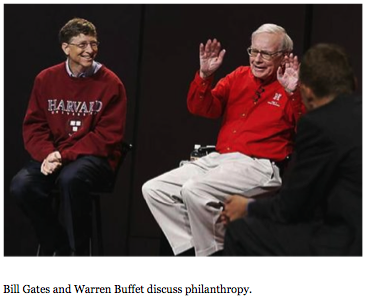 Similar questions could be raised about contemporary philanthrocapitalists’ foundations. With some exceptions, foundations do not consider or fund programs for redistribution, social justice, power and politics (factors that drive social transformation) through independent groups that would change the socioeconomic-political system. Historically such systemic change has been achieved through social movements, involving politics, government, civil society, and often resisted by business. Examples include the civil-rights movement, the women’s movement, and the environmental movement. Philanthropy is not a neutral, objective, apolitical process. By their nature foundations can only take actions that reinforce the corporatist financial system from which they arise and by which they thrive. The personal philosophy, beliefs, and political positions of philanthropocapitalists’ influence their preferences for which type of programs or research to fund. Some funding of political positions by corporate-based foundations have generated controversy because their wealth affords them power and influence disproportionate to that of average income citizens, including access to policy-makers and influence on democratic processes. [44,31] Such access and influence may have been gained despite the philanthropocapitalist or the funding corporation not carrying their full share of financial responsibility. The funding for foundations may have resulted from the philanthropocapitalist having paid a lower tax rate than is paid by less wealthy tax-payers. They may have also benefited from a lower long-term capital gains tax, and from their corporations that either paid a lower income tax rate than the federal statutory rate or paid no income tax, that paid minimum wage or opposed unionization of workers in order to lower wages and reduce benefit costs. Consequently some critics question why we would allow people who avoid paying taxes to be called “philanthropists” because they set up a foundation or contribute money to the arts, universities, religions, or health (the most common recipient of donations). Critics ask why would we allow billionaires to play a larger and larger role in determining social policy without any input from the rest of us? 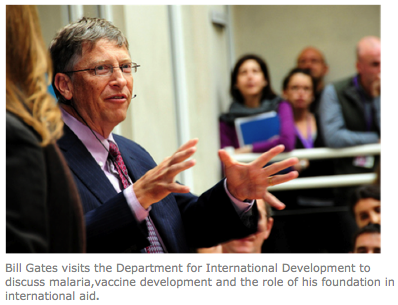 The influence of philanthropcapitalists’ money may have double influence on society and specifically, on public health. First, through the corporate source of foundation funds where the corporation may have “bought” political influence through contributions to candidates’ election campaigns, and through lobbying which may have led to laws or regulations with adverse effects on health. Secondarily through foundation donations, and foundation investments in corporations whose products or practices are detrimental to public health. Perhaps the lack of criticism by public health professionals is due to conflict of interests arising from the ubiquitous and large amount of foundation funding3 for public health programs and researchers. Public health professionals and organizations may be fearful of loss of funding or denial of application for funds for criticizing the foundations. Because foundations are sometimes in partnership the reaction to such critical analysis could easily diffuse across foundations and put a critic at risk at multiple foundations. Some philanthrocapitalists are sensitive to criticism and find it incredulous that anyone would consider them anything other than heroes whose financial and technological innovations they believe represent the future. They isolate themselves and become more closely associated with the other wealthy around the world than they are to average members of society and to their own country, and seem to scorn the middle class. This article appears with permission from Corporations and Health Watch. That techrights blog is a total joke. The guy that runs it, Roy Schestowitz, is a proven liar and hypocrite. He just makes things up as he goes along, never admitting any fault at all. When someone calls him out on his lies, he always falls back to the old “I’m being attacked by trolls” routine. Anyone that doesn’t agree with him completely is a Microsoft sponsored troll.